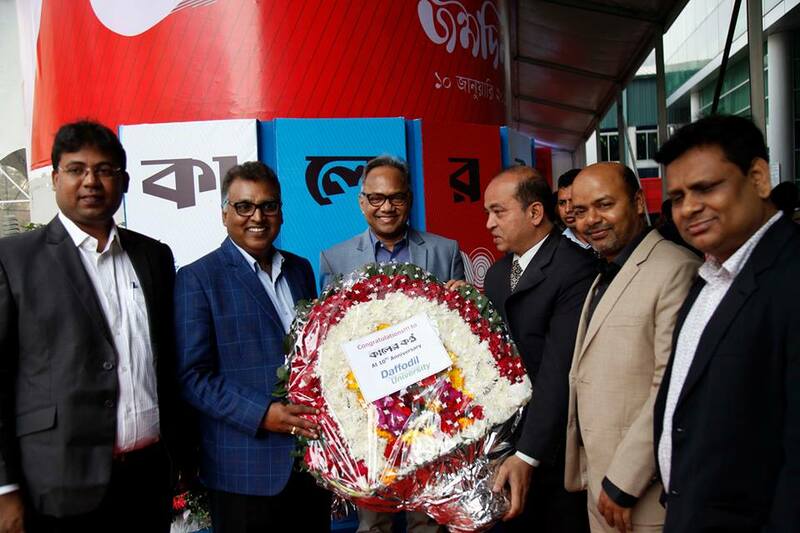 Daffodil International University greets The Daily Kalerkantho at its 10th Anniversary on January 10, 2019. Mr. Md. 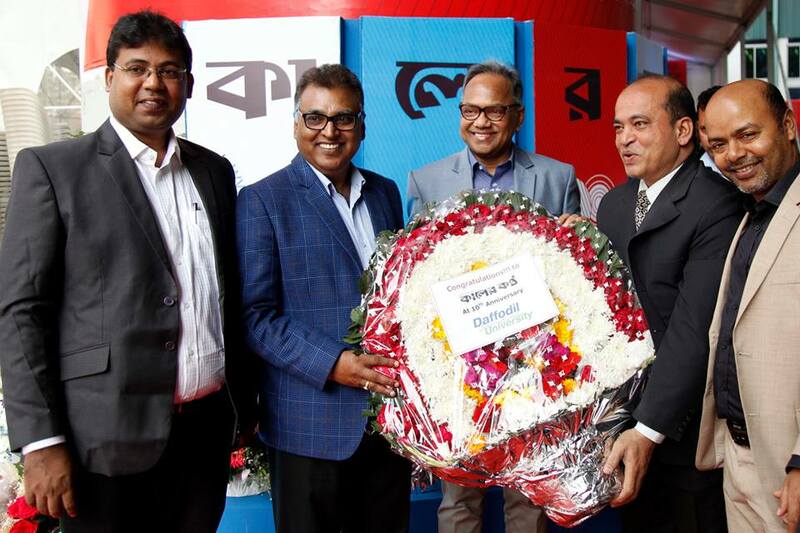 Anowar Habib Kazal, Senior Assistant Director (Public Relations) greeted Country’s renowned novelist and editor of the daily Kalerkantho Mr. Imdadul haq Milon, handing over a floral wreaths on behalf of Daffodil International University. 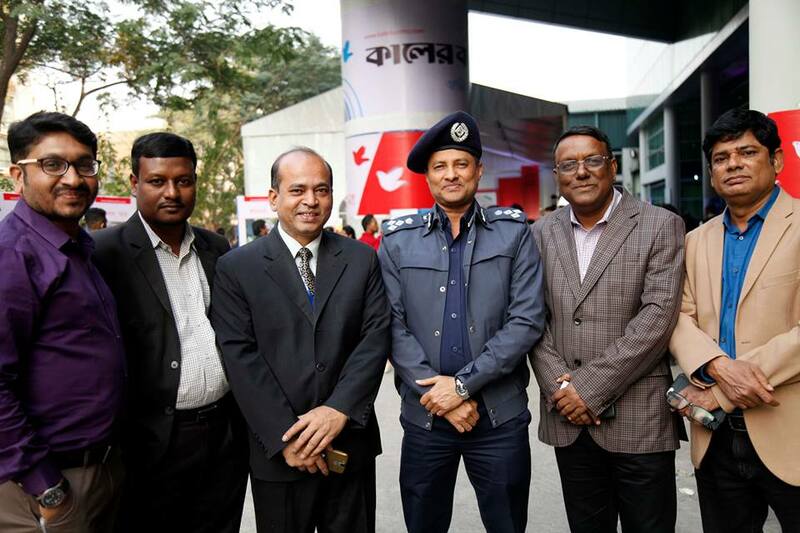 Mr. Mostafa Kamal, Executive Editor and Mr. Masud Rumee, Business Editor were also present at that time.